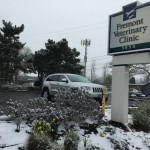 Things are changing at Fremont Vet. We’ve started a huge remodel. 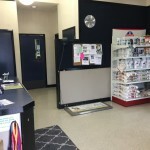 It includes new floors, paint, and cabinets throughout the clinic. 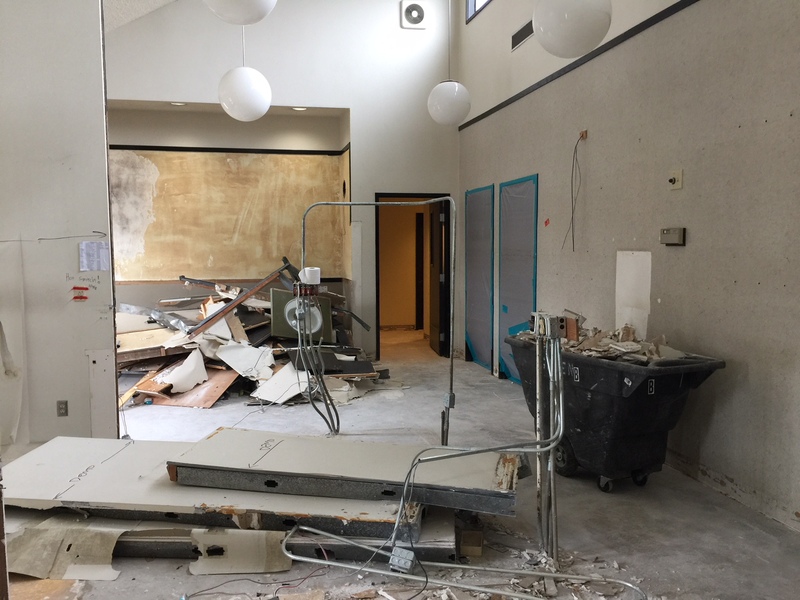 We’re making room to add two more exam rooms, add a new reception desk to the lobby and add two more workstations to treatment. 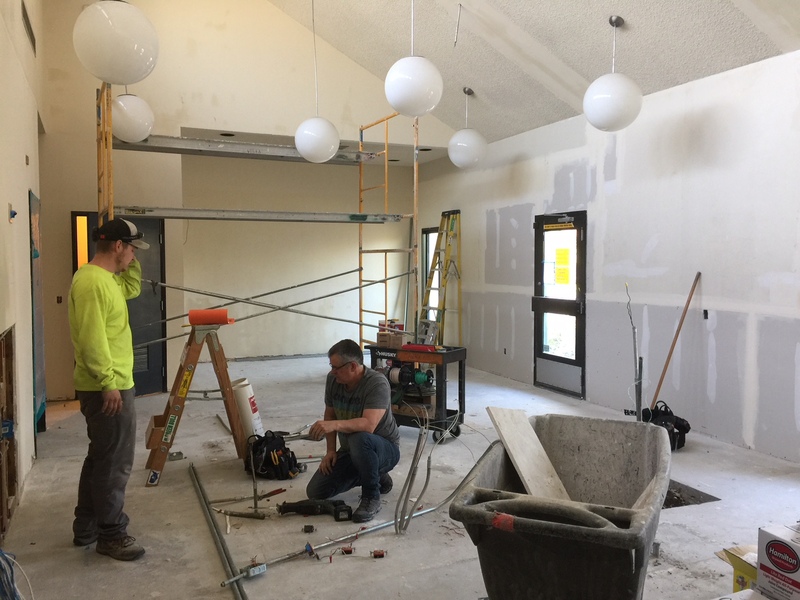 Since we wanted to stay open during the remodel, we needed to divide the remodel into 3 manageable phases, each lasting for about 9 weeks. 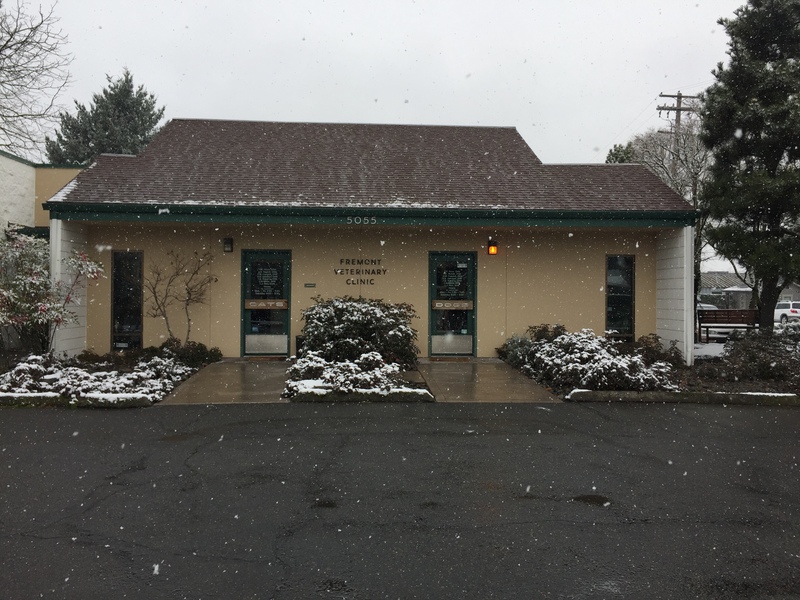 We hope to finish the remodel in late September, 2018. 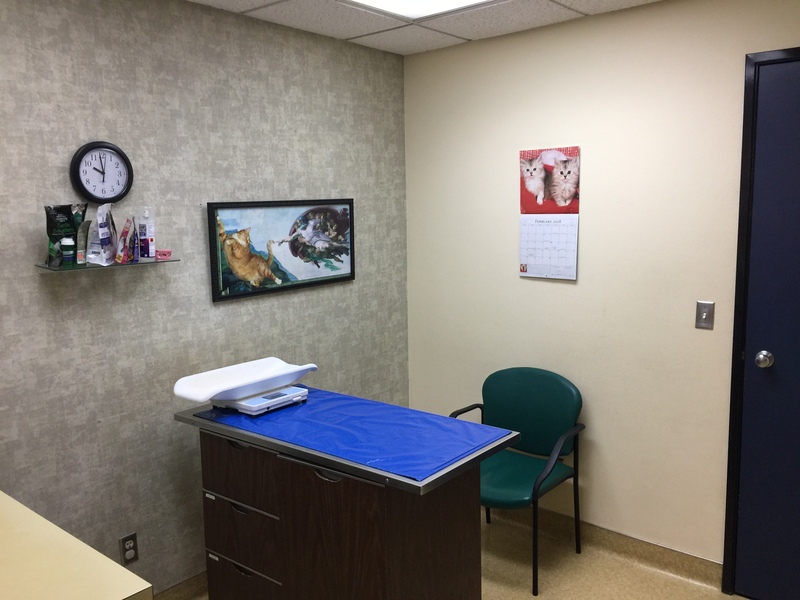 We’re right in the middle of phase 1 which consists of completely redoing our reception area and adding an extra exam room to our clinic. 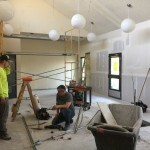 We’re laying down new, beautiful Marmoleum flooring and we’re installing an impressive, forward facing reception desk that’s shaped like a sliver moon. 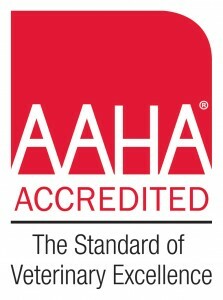 We’ll still maintain separate dog and cat entrances and seating areas. We also love our globe lighting in the reception area, so that stays too. In case you didn’t notice, our awesome Client Care Rep team has been working out of a temp building in our parking lot during phase 1. 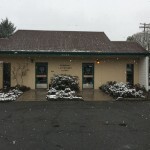 This temp building is where you should go to check in for your appointments or to pick up food or prescriptions. 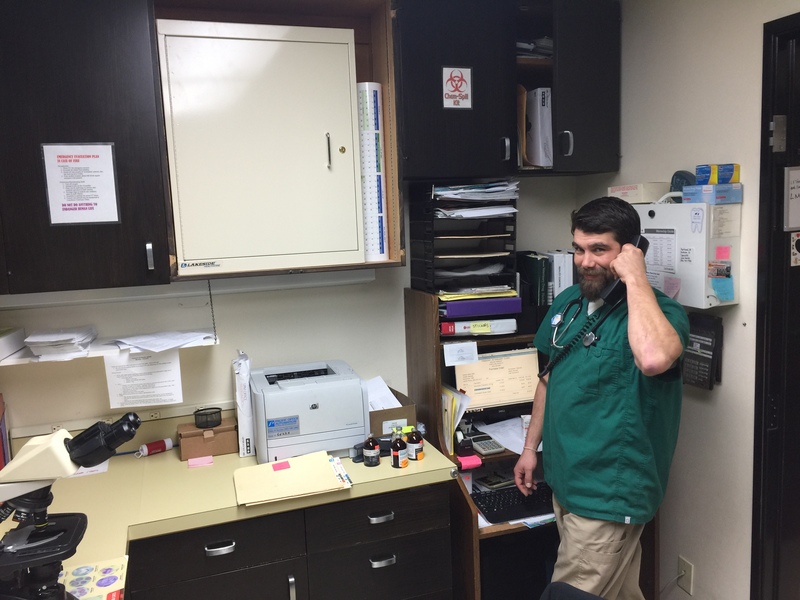 We have staff running back and forth delivering food, medications and escorting clients into our clinic through our treatment area to our exam rooms. We’re definitely getting a great work out. 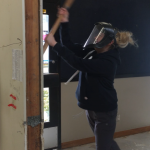 The last few weeks have consisted of demolition and preparing new electrical for the front desk and plumbing for the bathrooms. 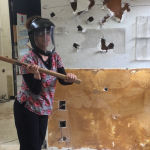 We jumped at the chance to swing a sledge hammer and have some fun. Walls are now being patched and repaired and painting will start in early May. 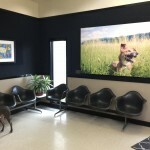 We expect to finish phase 1 on Friday May 25th and we’ll move our Client Care Rep team back into our lobby area on Monday, June 4th. 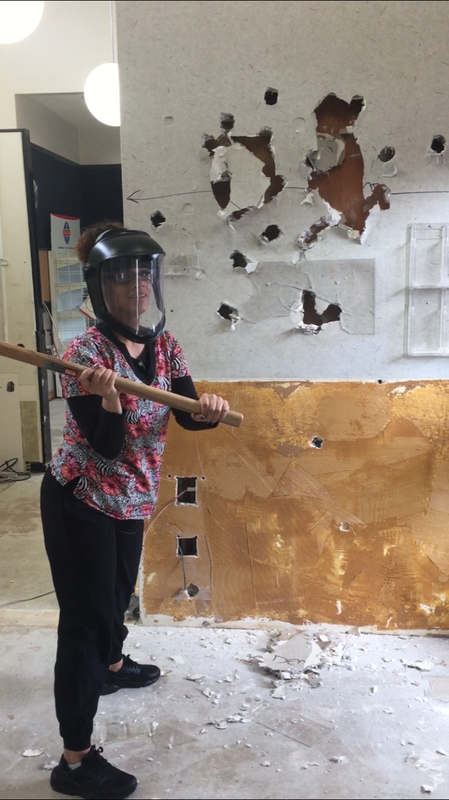 Phase 2 involves giving a face lift to our exam rooms and pharmacy and moving our lab to treatment so we can add a second exam room. Stay tuned. 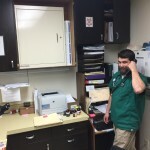 Thank you so much for your patient and understanding during our remodel. Please check out our website for more pictures and videos. As always, please plan on arriving 5 minutes early for your appointment time so you can find parking. 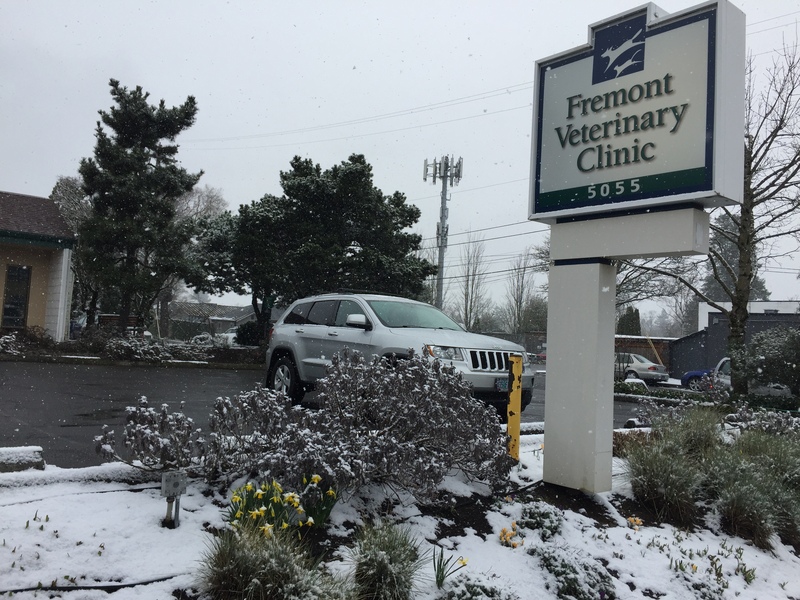 If you need assistance, park in our side parking lot and call our main line 503/282.0991 and we’ll be happy to help you take your pets from your car to the exam room. We are excited to announce our remodel will begin on March 12th. 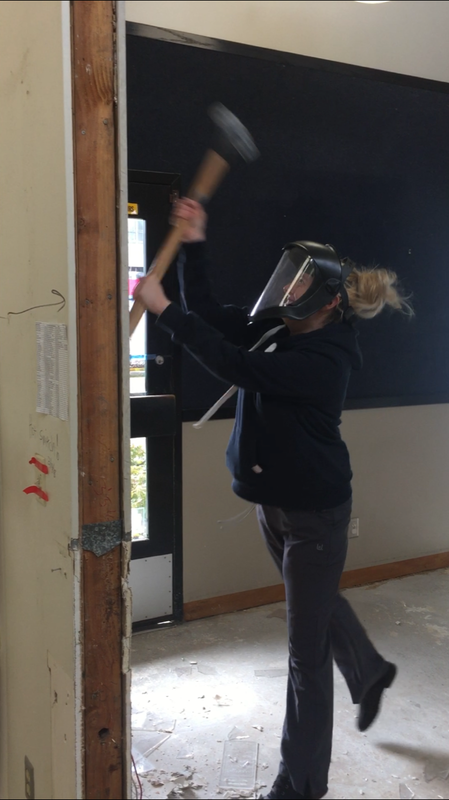 Renovations will include the addition of two exam rooms, new and improved treatment tables, and a new x-ray machine. 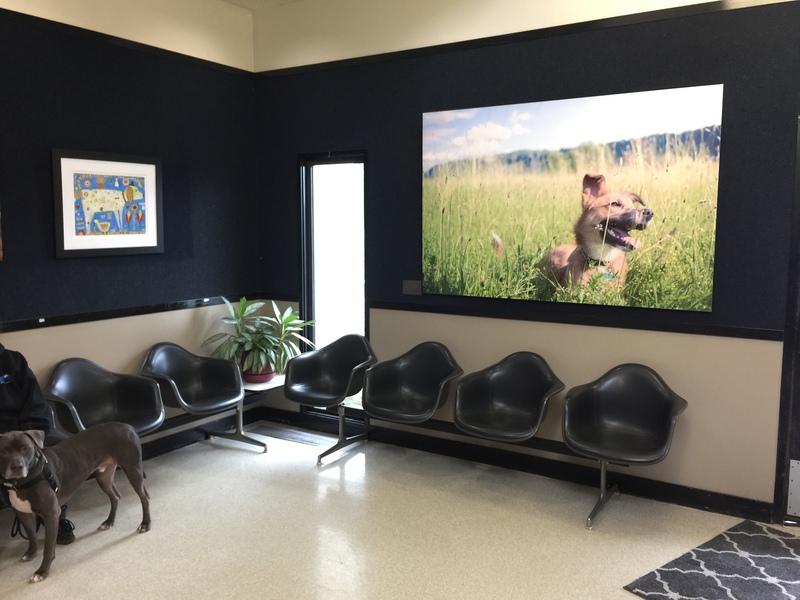 Our new reception area will offer more space and comfortable seating for you and your furry loved ones, and we will continue to provide separate entrances and waiting areas for dogs and cats. We’ll share images of the planned remodel on our website soon. Starting next week you’ll see a temporary building in our parking lot. 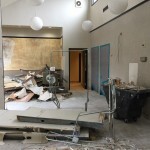 This will be our reception area for check-ins while our lobby is under construction. Because parking will be limited, our side parking lot will be available to you as well as convenient street parking. 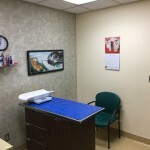 Please plan on arriving ten minutes early for your appointment so we have plenty of time to get you checked-in. We’ll have signs posted in the parking lot and on the building to direct you to our reception check-in area. We appreciate your patience and understanding during this renovation. 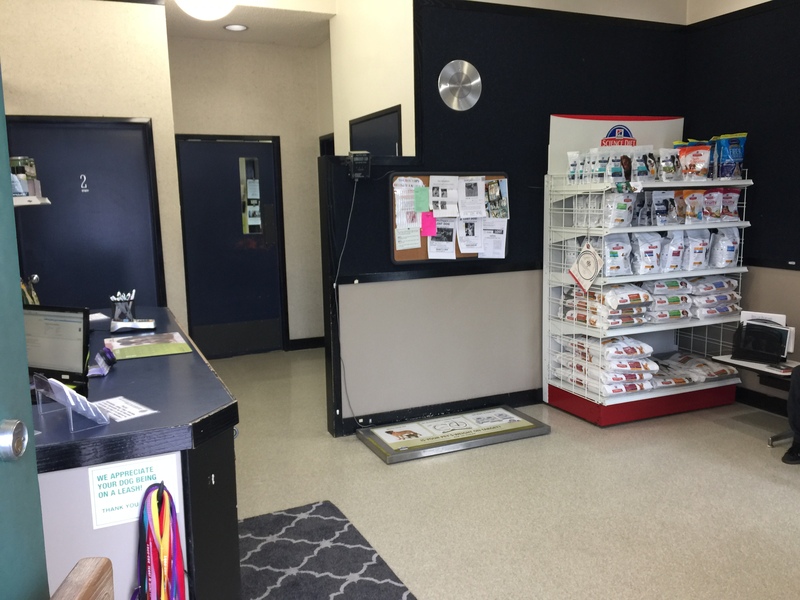 Our business hours and commitment to serving you and your pets will not change during the remodel. We look forward to seeing you during our regular hours.